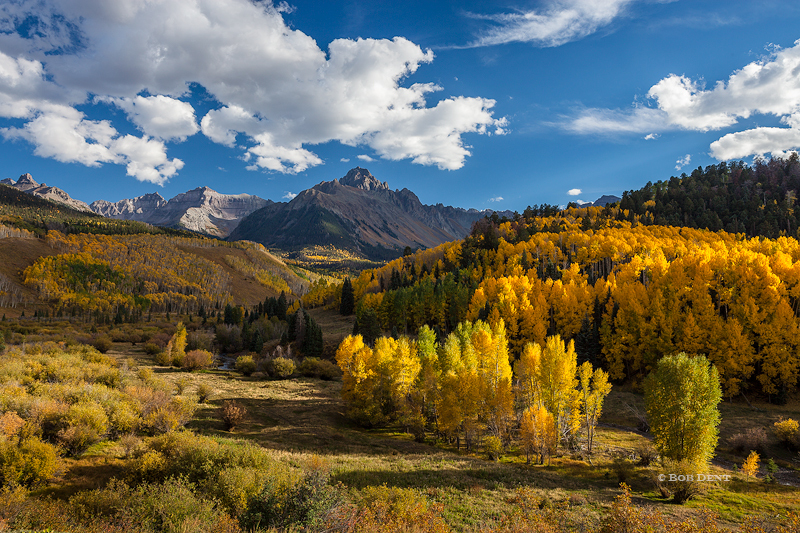 This year, my wife Kelly and I made our way to Southwestern Colorado for fall photography. Neither of us had been to this area for a few years, so we were overdue. This area of Colorado is a favorite of mine, (and many others!) for fall colors, and it was great to go back. 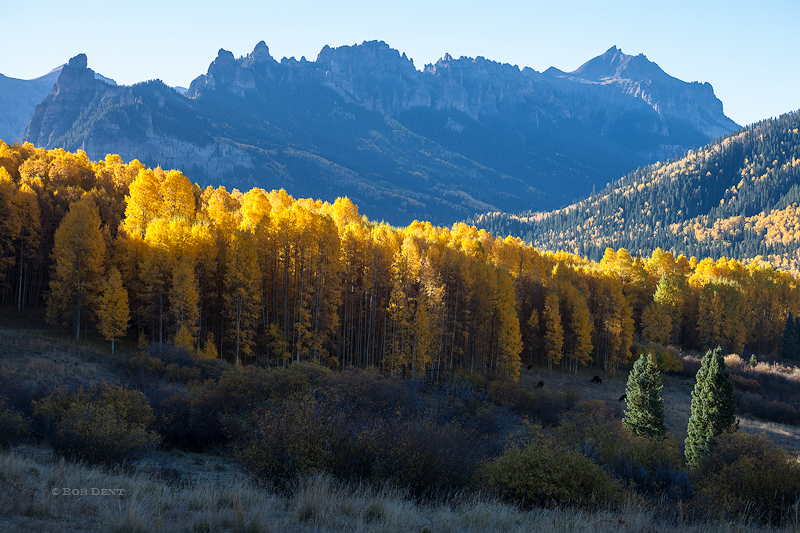 This gallery represents a few favorite images from our time in this beautiful part of Colorado. 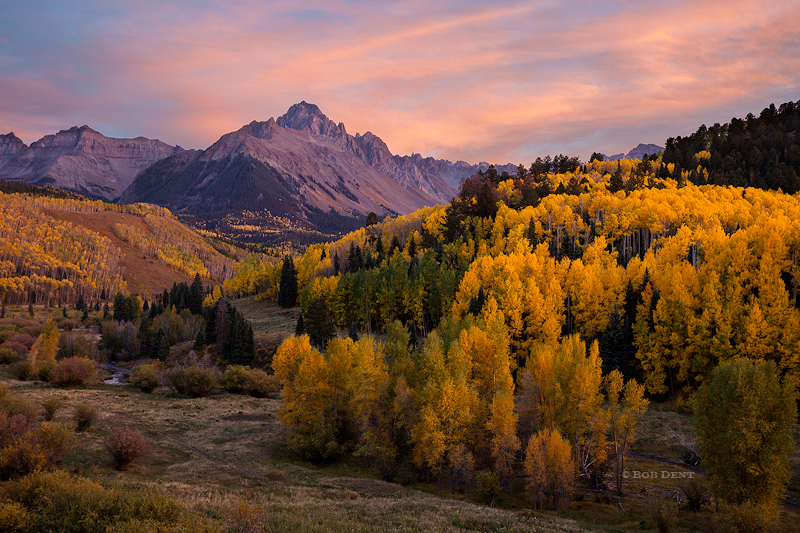 Warm sunset light across Wilson Peak and the Wilson Mesa. Photo © copyright by Bob Dent. View of Mt. 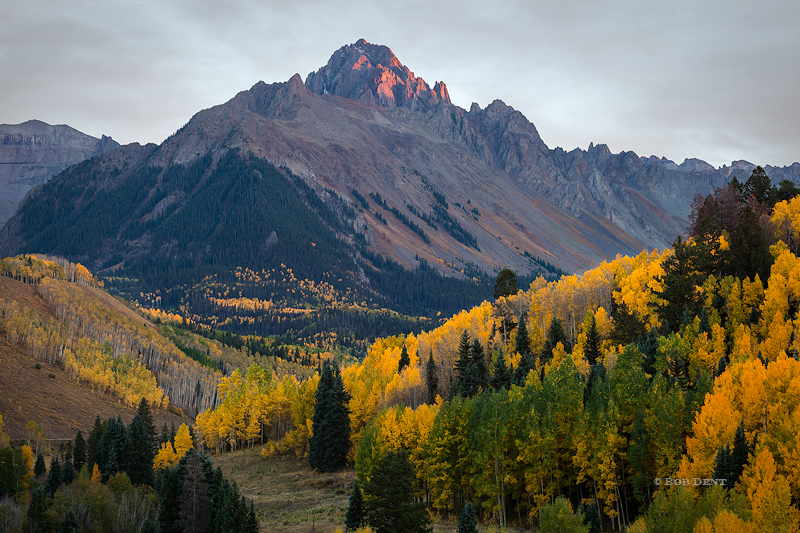 Sneffels on a classic autumn afternoon. Photo © copyright by Bob Dent. Sunrise light below Courthouse Mountain on a cold autumn morning. Photo © copyright by Bob Dent. Alpenglow touches the top of Mt. Sneffels. Photo © copyright by Bob Dent. 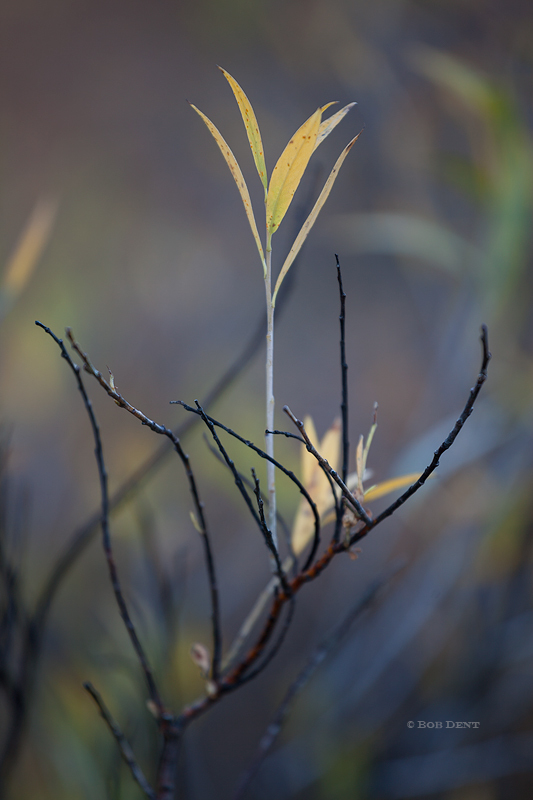 Small details as autumn colors change in the high country. Photo © copyright by Bob Dent. 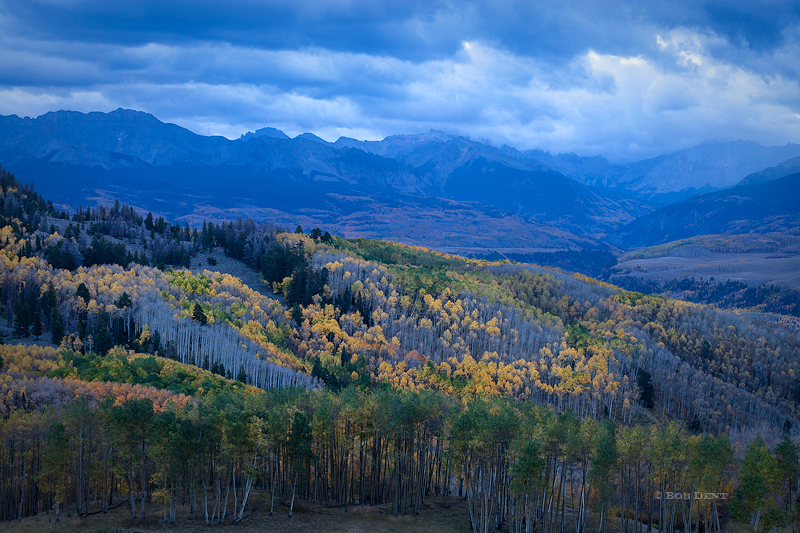 Pre-sunrise light over a section of the San Juan Mountains. Photo © copyright by Bob Dent. Warm pink light across Mt. 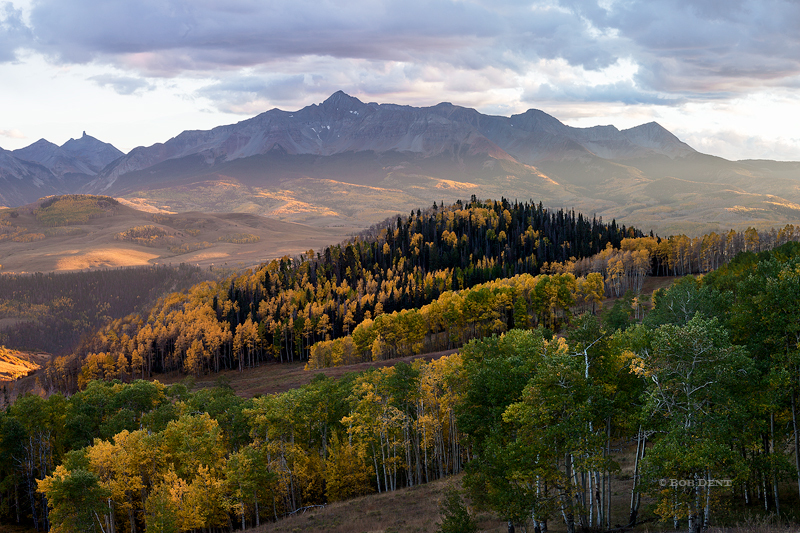 Sneffels at sunset. Photo © copyright by Bob Dent.